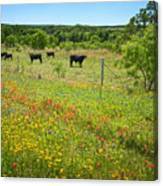 There are no comments for Wildflower Pastures On Willow City Loop. Click here to post the first comment. 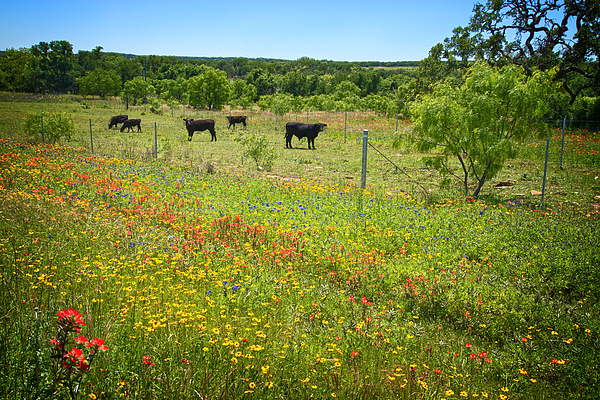 WILDFLOWER PASTURES ON THE WILLOW CITY LOOP by Lynn Bauer is a look at the wonderful spring wildflower landscape of rural pastures near Fredericksburg, Texas. 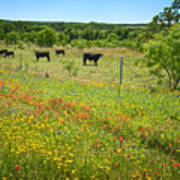 Cows graze in the beautiful fields as cars come and go along the road with passengers who are trying to take in all the beauty that this area has to offer. Of course, there are the photographers who have to get out of the car and get right down into the wildflowers to get the image that they want! (Too bad no one had posted signs about the mosquitos that were enjoying the flowers, as well! But, I guess a few mosquito bites (over 30 on one forearm, alone!) was well worth capturing this kind of incredible beauty!) 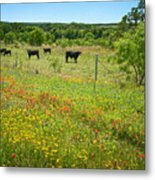 Please be sure to visit my gallery page where you will find full galleries of both Texas and Wildflower images.